After a day of confusions and contradictory news, the Home Minister at last took the microphone to clear the air about recent developments in the murder case of famous cop Babul's wife Mitu. 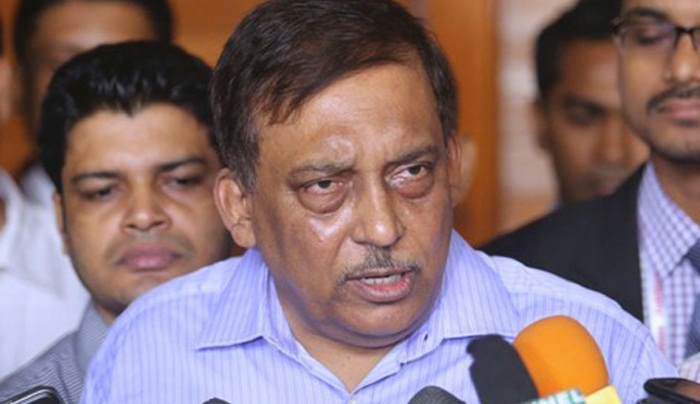 Asaduzzaman Khan Kamal, the Home Minister on Saturday evening explained, about Chittagong Police Superintendent being with detectives, it was not anything like arrest or taking in custody, he was there overnight for just helping the investigator in the process. Mr. Khan said SP Babul was called in as police's detective branch (DB) needed him to identify detained suspects of the murder of his wife, reports agencies. "He (Babul) was called by DB to identify the (detained) suspects," Asaduzzaman Khan told reporters as the officer returned to his laws house in the city staying overnight at the DB office. Suspected militants murdered his wife Mahmuda Akter Mitu earlier this month in Chittagong, where Akhtar was posted previously and carried out a series of anti-militant security clampdowns, reports BSS. The minister said police earlier arrested some suspects believed to have links to the murder and investigators "wanted to know whether SP Babul knew them earlier". Khan, however, declined to divulge more saying the media would be informed immediately after any tangible progress was made in the case. Dhaka Metropolitan Police took away Akter last night from his father-in-law house at Bansree since his wife was murdered on June 5.